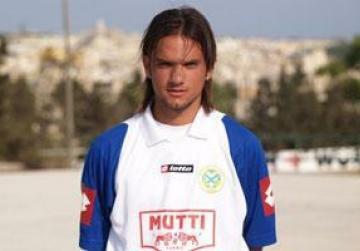 Maltese international Andre Schembri has signed a two-year deal with Cypriot club AC Omonia. Schembri played in Greece up to the last season and turned down a number of offers there before putting pen to paper in Nicosia this morning. "I had to choose wisely, I was in no hurry but pressure sometimes didn't help," Schembri told the press in the Cypriot capital. This is Schembri's seventh foreign club after playing with Eintracht Braunshweig (Germany), Carl Zeis Jena (Germany), Austria Karnten (Austria), Ferencvaros (Hungary), Olympiakos Volos (Greece) and Panionios (Greece). AC Omonia have won 20 League Championships, 14 Cypriot Cups and 16 Super Cups. The club is one of the main ones in Nicosia. It placed third in the last season and hence played in the Europa League qualifiers, losing 6-5 on penalties in the 3rd round against the Serbians FK Crvena Zvezda. The Cypriot 1st division kicks off on September 1and Schembri will make his first appearance with AC Omonia on Sunday September 2 against Ayia Napa FC.